To help lamb producers select flock replacements with easier-care traits, AFBI, Hillsborough, has developed a simple ewe management recording system. Available free to all Ulster sheep farmers this is a very practical result of research into easier-care systems part funded by AgriSearch and ensures lambs kept on for breeding are from your best ewes. The system is based on tagging lambs and on a simple recording in a ‘lambing book’ of any intervention required at lambing, lambing ease, mothering ability and lamb viability. The book is then returned to AFBI Hillsborough, who will produce a free summary report for your flock and send a second book to record the weight of lambs at weaning time. These records are then used by AFBI to produce a final report ranking ewes within the flock on a scale of zero to 100; a ewe with an index of 100 lambed without help, had good mothering ability and reared good lambs (lamb weaning weight) compared to other ewes in the flock. Samuel Wharry from Carnlough, Co Antrim, who hosted a sheep farm walk last month, shared his experience of using the scheme. 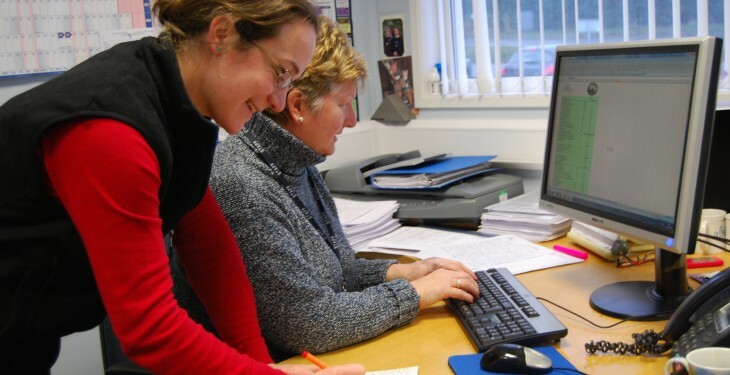 “Like most farmers I hate paperwork and I dislike computers, so I find the scheme really easy to use. When tagging the lambs at birth we simply record the lamb number, its mothers’ number and circle a few boxes giving details of any lambing difficulties, if the lamb need help to suckle or not, and the mothering ability of the ewe. “At the end of the lambing season, the lambing books are sent off to Hillsborough. Then at weaning time a simple weaning weight is recorded, and I get back a list of my ewe lambs and ewes in index order. 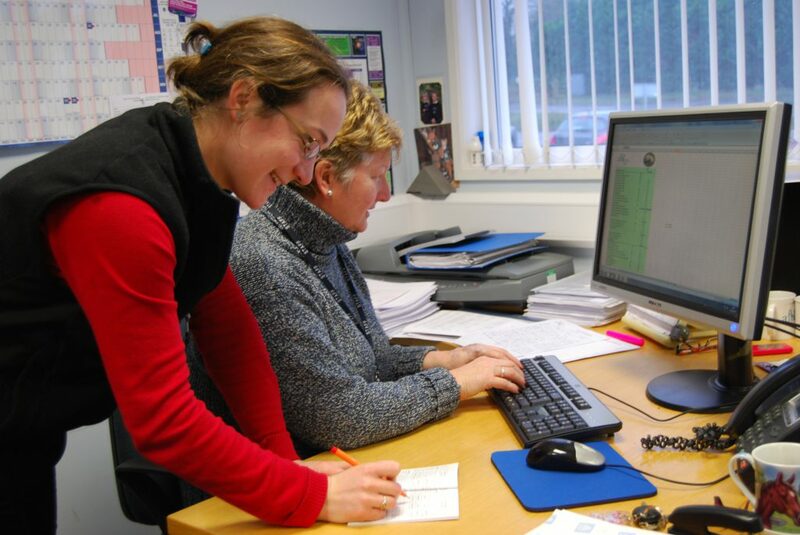 Pictured: Aurélie Aubry, left, and Jennifer Meeke from AFBI, Hillsborough, preparing a summary report using the data recorded in a lambing book.